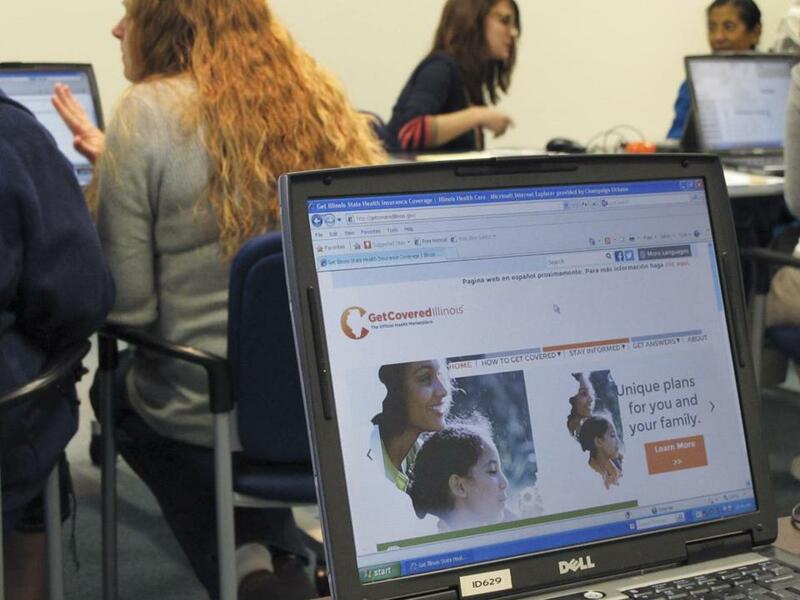 People in Illinois were engaged in enrolling in coverage offered by the Affordable Care Act on Tuesday. Concern around the Affordable Care Act has reached a fever pitch, as Republican members of the House have succeeded at shutting down the government because the law has not been defunded or delayed. Meanwhile, a handful of states continue their efforts to undermine its implementation, which begins this week. While I by no means want to downplay the urgency of this situation, I would like to offer some reassurance as to the patient’s ultimate prognosis — as long as we remain committed to funding public health prevention efforts. From 2000 to 2006, I served as minister of health in Mexico, where I spearheaded Seguro Popular, a comprehensive national health insurance program that enrolled more than 52 million previously uninsured persons, achieving universal coverage in less than a decade. In Mexico, as in the United States, introducing such a fundamental reform meant confronting special interests, making pragmatic trade-offs, and facing seemingly insurmountable challenges. Every health system reform in an advanced nation has gone through such valley-of-death moments. That is the nature of the political process. For a variety of reasons, the United States is coming late to the global movement for expanded health care, the only one of the world’s 25 wealthiest nations lacking some form of universal care as of last year. National reforms inevitably go through great transitions, from vision to legislation, and then from legislation to implementation. There is always a gap between the ideal vision and the ultimate design — and there are always times of fear that the whole endeavor will collapse under the weight of competing interests. Importantly, there is also no end to the reform process as every nation’s health system continuously evolves. I believe that the Affordable Care Act will survive this current crisis. Though securing the law may require further compromise, it is essential to hold fast to the elements that will assure its long-term health, especially funding for public health and prevention. The law’s architects recognized the critical importance of balancing expanded coverage with expanded prevention efforts. That is why they created the Prevention and Public Health Fund as a crucial component of the act. They recognized the paramount importance of prevention not only as a way to improve health but also as a cost-containment strategy. Unfortunately, a movement is now afoot that would disregard this dual commitment, sacrificing prevention funding not only within the law but also elsewhere in the federal budget in a misguided effort to reduce costs. Already public health funds within the ACA have faced serious cuts, with the $15 billion multi-year commitment in the ACA reduced to $10 billion. This is just the tip of a dangerous iceberg, as Congress also weighs cuts to the Centers for Disease Control and Prevention, the National Institutes of Health, and state health departments, all of which are critical to illness prevention. In an environment of budget deficits and sequestration, public health prevention efforts funded through the Environmental Protection Agency (for clean air and water), the Food and Drug Administration (to ensure drug safety), and other agencies must also be preserved if the Affordable Care Act is to actually be affordable. Today people are living longer but are also spending more time living with chronic ailments. Over the course of the 20th century, global life expectancy soared by 30 years, 25 of which stemmed from public health advances such as improved sanitation, environmental advances, vaccine campaigns, and tobacco control. Today, we are quite literally victims of our own successes, as we confront the burdens of long-term chronic illnesses. People are living with HIV/AIDS, living with diabetes, living with cancer. As the enormous baby boomer cohort ages, this trend will only accelerate. Prevention may seem expensive, but in the long term it saves money. Consider that a scant 3 percent of current health care spending in the United States is now focused on prevention and public health, while a whopping 75 percent of health care costs are related to preventable conditions. The United States can — and must — do better, especially considering that its per capita health care spending is twice the average of other industrialized nations even as it still ranks a dismal 24th out of 30 for life expectancy. Compromise is inevitable, but some things should be placed beyond the reach of politics — prevention funding is one of them. Making sure that sick people are getting care is a good thing, both for them and for society, but we must also prioritize upstream public health interventions to stop people from getting ill in the first place. Failure to do so will yield a vast and unnecessary increase in human suffering while also putting the nation on a fast track to insolvency. It will not save money. It will do just the opposite.